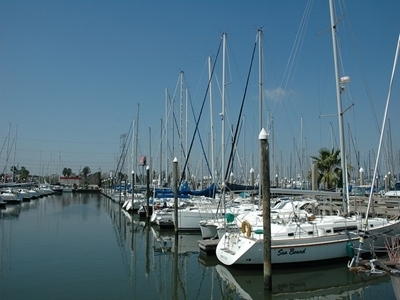 Boats at dock in Kemah, Texas. Sunderland Marine Mutual Insurance Co., based in the United Kingdom, filed the law suit June 17 in the Galveston Division of the Southern District of Texas against Robert Hicks of Kemah. According to the complaint, the defendant insured a boat with the plaintiff, and subsequently filed a claim April 8, citing that the vessel, named The Solution, had sustained damage where it was moored and that personal property had been stolen from the boat. The plaintiff claims the damage was due to the defendant's failure to maintain the boat in a seaworthy condition, and misrepresented that fact to the insurance company. Because of those false statements, the plaintiff claims the defendant breached the duties and obligations of the insurance policy, therefore, the policy does not cover the damages to the boat. In fact, the plaintiff says the entire policy is void because of the fraudulent claims. The plaintiff is asking the court to declare that, because of those fraudulent claims, the relationship between insurer and insured does not exist and that the insurance policy does not cover the damage to the boat. The plaintiff's attorneys are Timothy W. Strickland and Stacey T. Norstrud of the Fowler Rodriguez Law Firm in Houston and Steven E. Goldman of Goldman & Hellman of Fort Lauderdale. Galveston Division of the Southern District of Texas case number 3:15-cv-00153.